Afsaneh Beschloss speaks during the Greenwich Economic Forum's lead panel "Navigating Global Capital Markets" with Bridgewater Associates founder Ray Dalio and Managing Partner and CIO of Balyasny Asset Management Dmitry Balyasny. GREENWICH, Connecticut – November 15-16. 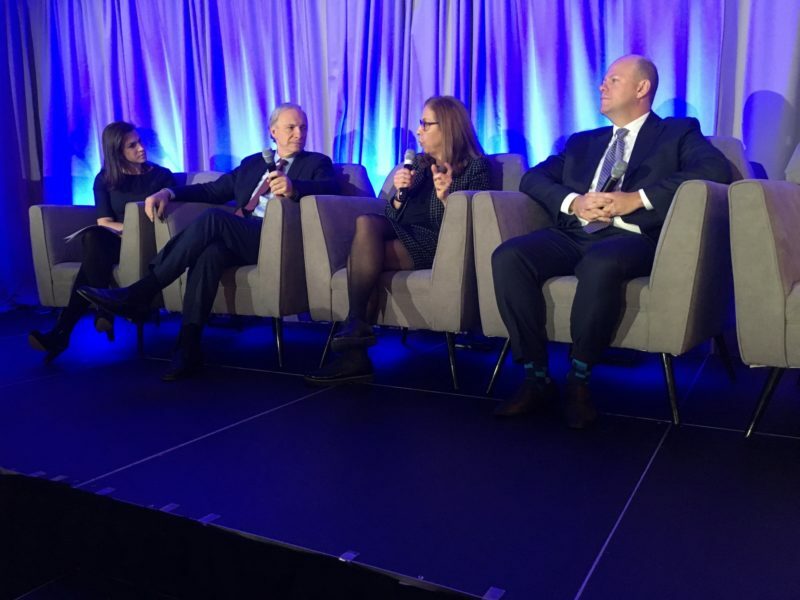 RockCreek founder and CEO Afsaneh Beschloss appeared on the Greenwich Economic Forum lead panel “Navigating Global Capital Markets,” moderated by CNBC journalist Leslie Picker, with Bridgewater Associates founder Ray Dalio and Dmitry Balyasny, CIO of Balyasny Asset Management. Discussing the global economy, Beschloss said equity markets are seeing a different kind of sentiment and increased leverage. She said two changes should be expected over the next 12 months: interest rates will continue to increase, and wages will probably rise after a period of unprecedented wage stagnation. The panelists discussed the evolution of the hedge fund industry since the 1990s. Beschloss recalled that the World Bank, where she worked, provided the first $5 million in funding for Bridgewater Associates, which was just starting out. Beschloss said the industry in those years was primarily made up of macro hedge funds. Many other strategies – such as long-short, credit, and merger-arbitrage – were added over time as market inefficiencies developed in different areas and different instruments were created in the markets. In the early days of hedge funds, the investors primarily were high net worth individuals, family offices, endowments and foundations, and the team at the World Bank. Hedge funds were a small market, and hedge fund managers such as Bridgewater invested their own money. After 2000, institutional investors moved into hedge funds, and the market quickly doubled in size. Soon, the hedge fund industry started looking more like the rest of the asset management industry. The size of fees became more important, and institutional investors were often not investing in funds in which managers had put most of their own wealth. Since 2008, the amount of money in the hedge fund sector has doubled to about $3 trillion, one of the biggest increases among sectors in that time. But, like everything else, the hedge fund sector works in cycles. Hedge fund managers have to produce value for what they get paid to do. As the cycle turns, the hedge fund sector may be returning to its roots. Some founders are putting in 30 to 50 percent of a fund’s initial capital from their own wealth, while others are forced to close or become family offices. Elsewhere at the Forum, RockCreek Senior Vice President Peter Cline led a roundtable discussion focused on impact investing. The panel discussed opportunity zones, diversity initiatives, clean energy opportunities, and measuring the impact of an investment. Beschloss was interviewed in a live broadcast with Leslie Picker on CNBC, where she discussed the impact of the unexpected volatility in October on different investment strategies and the prospects for hedge funds amid rising Fed rates. 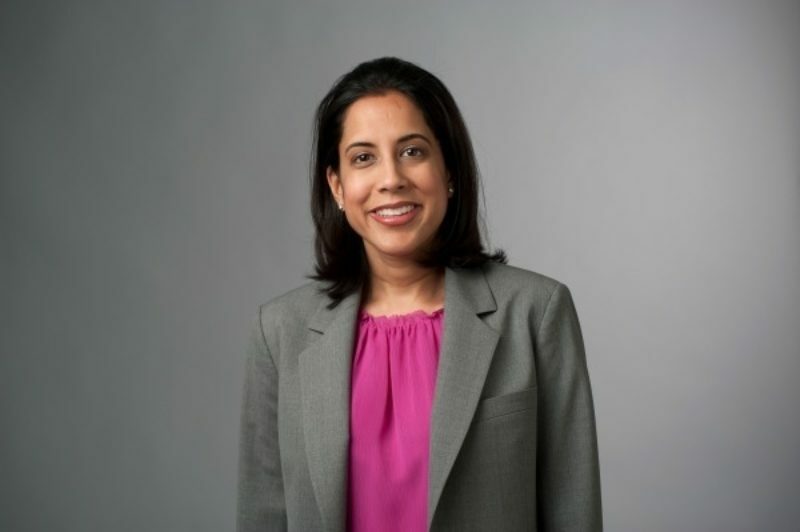 RockCreek Managing Director Alifia Doriwala co-chaired the Greenwich Economic Forum on Friday. Doriwala was co-chair of the conference on Friday. In her remarks, she talked about how rapidly the investment world is changing and the importance of the industry’s readiness to adapt. More opportunities will lie in themes such as diversity and sustainability, she said, and responding to and embracing these themes will be crucial to success. As global volatility increases, innovation and flexibility will be essential.